There is an issue with my HTTP request.salesforce is not allowing me to use PATCH method. Below are the notification which i get after calling a patch. System.CalloutException: Invalid HTTP method: PATCH. Then i am geeting below notification. Can somebody help me here I am getting the error while getting data based on id which I am passing, I am able to generate session id as well. Salesforce to Salesforce Rest Api Integration. When somone gives a swagger, What else do we need to do to do testing in Postman. is there any authentcation key i should ask ? I am starting my salesforce lightning component framework superbadge and I have written the below code. I am using the component in a lightning app and using the preview for testing. Can you please let me know why the dropdown menu and buttons are not aligned properly. Looking for some help writing a test class. Very basic, just record creation. Visualforce page is basic, just standard controller Account. I had a look online for an example to use. This is what has given me a low code coverage. Exposing Salesforce Data to third party app (API)?? We have a third party app that requires me to expose certain data in Salesforce (person account object) through their API. They already have one built, just need me to expose the correct data. How would I go about doing this? I have written the apex class for addition of two numbers. but for writing the test class i have issue. "Method does not exist or incorrect signature: void assertEquals(Integer) from the type System"
Requirement: Can any one tell me how to write a trigger on contact to check the duplicates for Name , phone , email . if any duplicate arises we need to put error message . condition is (Name OR phone OR Email). I would lik to query all validation rules that contain a condition with profiles. Is this possible? Invalid constructor name myFlow.start() ? I'm trying to write a class that will call a flow. I don't understand why Dev Console won't let me save, telling me that myFlow.start() is an invalid constructor name. I have a list with the following format in apex controller. How do I serialize this? Trigger : account has multiple contacts(with custom field age__c), i want to show youngest and oldest contact age in custom account fields youngest__c and oldest__c respectively. I have multiple contacts with their different ages. I want to fetch out minimum and max age among all contacts. I tried this query....Select id,Min(age__c) from Contact GROUP BY Name. I'm a new developer so please bear that in mind! I'm trying to update an Account's custom fields from a Custom Object called Pub_Opportunity__c. The account has a lookup relationship to the pub_opportunity__c. But I only want the Account to update once with these fields as sometimes there are many pub opportunities related to one Account. I just want to retain the original values. When I use the code below, it keeps updating the Account every single time with the new Pub Opportunity's fields regardless of the condition. For example, when I change the Account_Status__c field on the Account to 'Active', when I create a new Pub Opportunity, it still updates the Account_Status__c to 'Closed Won - Implementing'. Even when the Link_to_Contract__c field on the Account is filled out, it still updates the field with the new value from the Pub Opportunity. I am trying to search through all records passed in by trigger and find ones where buyer zip codes matches an open Open Territory. The "Name" field on Open_Territory__c contains zip codes. I am getting 2 errors. Variable does not exist: Name, and DML requires SObject or SObject list type: List<Id>. // Search through all Sales Ups passed in trigger. Find ones with buyer zip codes matches Open Territory zip and add them to List. On the Case object we have the standard lookup field to the standard Account object. I also added a field called "Login_ID__c". We have this same field (Login_ID__c) in the Account object as well. Now when the user enters a Login ID in the case object, based on the value in the Login ID field it should auto populate the Account lookup field because each Account record has a unique Login ID. I have tried using a workflow and process builder but to no avail. From what I’ve researched, I think it’s possible to do this with an apex trigger but I am not familiar with apex at all. Can anybody help me out or offer any insight? Thank you. WHAT: In my Account object when a field "GDPR flag" gets checked,it should automatically fill the "GDPR date" field to be te same date(date on which the flag chcekbox gets checked). So we are using the formula field: IF( R2_ACC_CHK_GDPR_UnSub__c , TODAY() , NULL). ISSUE: Because of this formula field, the "GDPR date"is getting changed everyday to the current day, which is wrong.It should reflect the day when the checkbox was checked and should stay always the same date.i.e if we marked any customer as GDPR on 09th Sept 2018, tomorrow or one year from now , the date should always reflect 09th sept 2018. How can i achieve that? Can i make some changes in formula field?or can i do it in the triger code?Please help.I am novice so would require your explanation as well. Need help, Getting error while deploying "Variable does not exist: RecursiveTriggerHandler"
Hello friends, Iam getting error "Variable does not exist: RecursiveTriggerHandler" while deploying the apex trigger to production. Please help me on below issue. 2. In below class account is having one contact but one user able to see contact another user not why another user not able to see contact please help me. 3. As per my knowledge below class will work on system mode. 4. Please help me why another user not ble to see the contact. If account type == hot then i need create one conatct for account only one contact. If contact is existing then no need to crete contact. If anybody aware on deleting territories can help me because we could not able to delete territories even though we had "Managed Territories" permission in profile level. The territory trying to delete don't have child territory but have parent territory.So while deleting I am getting the following error below. You cannot delete the territory because at least one territory rolls up to it. I'm looking for a side gig, about 30 hours a week. I have about 5 years experience with Salesforce. Please send an email: varaprasad4sfdc@gmail.com email for a resume. Some users having issue with list views . 1) select a personalized view (here e.g. 003 - My cases in process). 2) open a case out of this list (here e.g. CAS001). 3) go back to the case list by pressing the "Back-Arrow" of the browser . The wrong list of cases is displayed Here. Some times in chatter Chatter bold ,italic buttons are not displaying. Please let me know the reason . An error has occurred while processing your request. The salesforce.com support team has been notified of the problem. If you believe you have additional information that may be of help in reproducing or correcting the error, please contact Salesforce Support. Please indicate the URL of the page you were requesting, any error id shown on this page as well as any other related information. i need to create one validation rule.. I have a Parent Object called "Treatement" and a child object "Infusion". For a particular treatement we have to create infusion records. the 1st Infusion record should have infusion number (a field in Infusion) as 1 and 2nd record should have infusion number as 2 , and the count should continue. i need small help regarding on schedule apex. how we will schedule one class with different timings. EX:i want to schedule one class : Runs at 4:20; 7:50: 16:20; 20:50 CET these timings. I received code 90%,but test execution will be fail . i created one class for generating xml file and by using callouts i am sending file to external system. I need to create multiple tasks in single page and i need to assign to user.Through vf page how we will implement this one . We need to have a VF section so that from same page I can create multiple tasks without navigating to different page. Essentially in new task we need to have all the fields and can only refer what is in Action plan. It is showing error.Please help. Trigger has limitation of the 100 SOQL records. It will exceed the SOQL query limit if more than 100 SOQL quries are made. But it will count only 20 soql queries so it should not exceed the limitation. Hello. I am trying to use the invocableMethod annotation to pass some ids from a flow to the method that will return a list of custom Sobjects. For some reason the soql is only finding the first record, and I don't see why. Posted here is the class and a debug log. Thanks for any help!! Our Sales Cloud and Marketing Cloud are connected via the Marketing Cloud Connector. I am trying to use the triggered send feature of Sales Cloud and send a Marketing Cloud email when a person account is created in the Sales Cloud. I have the following trigger and test class set up on my Sandbox environment. The test class executes without any problems but the code coverage on the trigger remains at 50%(1/2). I won't be able to deploy this to production because it needs to be at 75% at least. I can't see what I am doing wrong here so any help will be apprecaited. 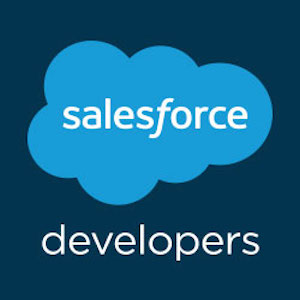 We're looking for a Salesforce developer to oversee the development and administration of our Salesforce instance. Ideally, you're an independent Salesforce contractor who can contribute about 20h/week on a long term basis, enjoy working remotely and collaborate well with distributed team. Able to work remotely within PST business hours. We have person accounts enabled for our Salesforce instance. I am using the Rest API to create an account record. When an an account is created, there is formula field that gets calculated automatically to ge the long person contact id. Is there a way to specifiy this attribute in the response? I don't want to have to make a second call to get the long person contact id. I am trying to execute Apex test (run synchronous) using rest explorer in workbench. But, the response is null. Please help me. Unable to retrive the access token while doing a callout for Apex REST API which is present in another salesforce org. In this class I am trying to get the access token with the help of ReturnAccessToken() method. But due to some reason it is returning null. I am not getting the access token. All the details I get is Status code = 400 and Status = Bad request. Can anyboody please give a solution to this problem, because I've got stuck here for a long time. I'm hoping someone can help. We have a vendor that wrote this code for us (see below). I'm trying to run an Informatica task that updates some users records and this is the error I'm getting. Error loading into target [Contact] : Error received from salesforce.com. Fields . Status code [CANNOT_MODIFY_MANAGED_OBJECT]. Message [addToCList: execution of AfterUpdatecaused by: System.QueryException: List has more than 1 row for assignment to SObject()]. I am updating 14 contact records but keep getting a failure and this message is what it's telling me. But I don't understand what the problem is that is causing this message. Hopefully someone can help me understand what is happening here. I'm not a developer but I do understand what is written in the code, I just don't know why it's giving me this partiuclar error. TIA for any assistance. OAuth Error 1800 : There was a problem in setting up your remote access. I've written a third party integration as a connected app. This works great with our Developer instance and I can log in with my Salesforce ID and the API calls into my Salesforce data all work great. But this falls down when trying to make this work with another Salesforce instance outside of our Developer instance. When trying to sign in to a Salesforce ID on another instance to make this connection, the user gets "OAuth Error 1800 : There was a problem in setting up your remote access.". I've viewed the few forum posts on this and could not find an applicable solution. This is a simple API Integration only, NOT an app that gets installed to use from within the Salesforce app. What permissions or other piece could I be missing? Please help and thank you. Write a trigger that creates two identical Opportunities when ever an Account is created.Make sure both opportunities are associates with the Account. Just make sure to use variables when populating the fields of each opportunity to make sure they are identical. I have a few active workflows that look at an opportunity, if there's been no activity for 21 days, it'll send a follow up email to the Contact who owns the opportunity. In order have the email sent I have to login as another user, make a minor change on the opportunity to trigger it (usually I'll have a checkbox and do a list view so it's quick), and then the email will send from him. The problem is that everyday because there's hundreds of opportunities I have to go in there and trigger all of these opportunities as him in order for the emails to be sent. Is it possible to create a workflow/process/flow (preferrably not apex) that will automatically check each opportunities "Trigger box" as him, so then the emails automatically send as him without me ever having to go in, login as him, and manually check each opportunities "Trigger box" in a list view?? ?